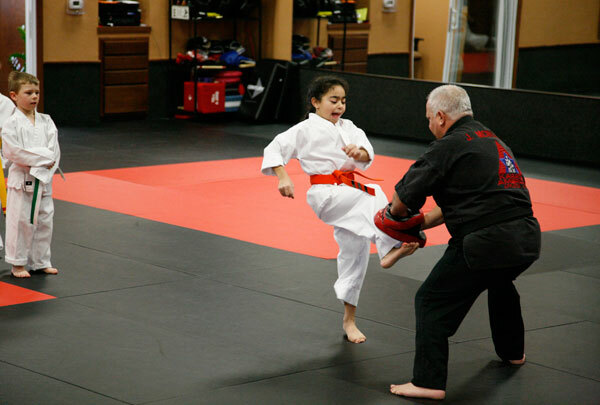 At Karate America, our programs are second to none! We teach our students using a basic philosophy of positive reinforcement, which builds Self Esteem, Confidence, Discipline and Positive Values. Our carefully designed programs for children of all ages will improve your child's performance in other sports as well as improving study habits and increasing overall concentration. In addition to this, by building self confidence, self respect and self discipline, we are helping young people deal with many problems they face growing up in today's world, including drugs, peer pressure and gangs. Karate America offers programs for young people starting at age four in our "KinderKicker" program through our teen/adult program. You do not need to be an "athlete" or "jock" to get involved in the martial arts. All you need is desire and a willingness to work hard. You are measured against yourself, not others. Our training methods emphasize positive reinforcement and encouragement, not intimidation and bullying. 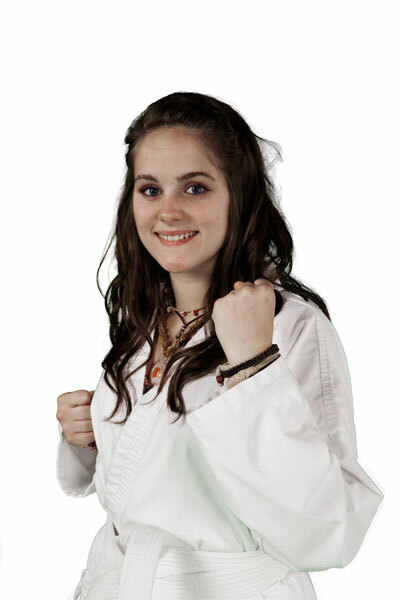 We believe that martial arts training can be fun, as well as physically and mentally rewarding. Karate America Appleton East/Darboy: Installs Confidence to Achieve! Learn to be proactive or be a "Go Getter"
Our classes will not only help your child for situations in the present but for a life time. During classes you will often hear the instructors sharing insights and strategies which include: Communication, Honesty, Character, Initiative, Commitment, Integrity, Courage, and Attitude. These are internal skills necessary to succeed in life! At Karate America the Leader Line Forms Here! Our KinderKicker program is designed specially to help in the personal development of students between the ages of 4 to 6 years old. Just like the name sounds, this class is for the basic karate student between the ages of 6 through adult. Karate America's Black Belt Team program is for students whose goal is the coveted rank of Black Belt. 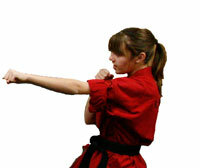 Karate America's Masters Team program is for the student who has attained the rank of Black Belt. These students understand the concept of CANI, constant and never-ending improvement. Our KinderKicker program is designed specially to help in the personal development of students between the ages of 4 to 6 years old. Studies have shown that the core of a child's personality starts to develop at this time. What better traits to develop than honesty, integrity, self discipline, respect, focus and concentration. At the same time students will be learning in a fun and exciting environment to become the leaders of tomorrow. CONFIDENCE - Standing up to life's challenges. RESPECT - For others as well as for themselves. FOCUS - Doing our best on the task at hand. SELF DISCIPLINE - Doing what we are supposed to do, even when we don't feel like it. BLACK BELT ATTITUDE - Acting like a winner in good times and bad. In addition all basic students learn the importance of Safety Awareness/Street Smarts and our personalized Karate Kids Fitness. This helps arm our students to stand up to the two biggest threats to them today - stranger abductions and the growing problem of childhood obesity. We are making our community stronger, one child at a time! Once a student becomes a Black Belt Team member, they will begin the journey of becoming a Black Belt. They will receive their advanced training in fun, exciting, and highly structured classes. As their physical skills grow they will develop on the inside as well. Their personality will take on such leadership traits as courage, commitment, and responsibility. All of these students are on a quest to be their best! Karate America's Masters Team program is for the student who has attained the rank of Black Belt. These students understand the concept of CANI, constant and never-ending improvement. They continue to sharpen themselves physically as well as personally. All of the students in this program are dedicated to the goal of becoming a 2nd degree Black Belt or higher. 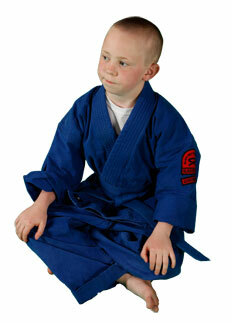 Most importantly they are developing the skills to be successful in not only in martial arts but in life. Stand up to peer pressure. Be confident in social situations. Learn to be proactive or be a "Go Getter". Set short and long term goals and how to achieve them. Our leadership classes will not only help your child for situations in the present but for a life time. Classes include topics such as: Communication, Honesty, Character, Initiative, Commitment, Integrity, Courage, and Attitude. Private Lessons are a great opportunity for students of Karate America to enhance their training. These lessons provide the student with the chance to work on specific areas of their martial arts training. Private lessons are typically 30 minutes in length but can be extended to 45 minutes or even one hour. You get to decide which private lesson package and instructor fits your needs best. Call or drop in now to set up your first lesson.